View More In Refrigerant Recovery Tools. 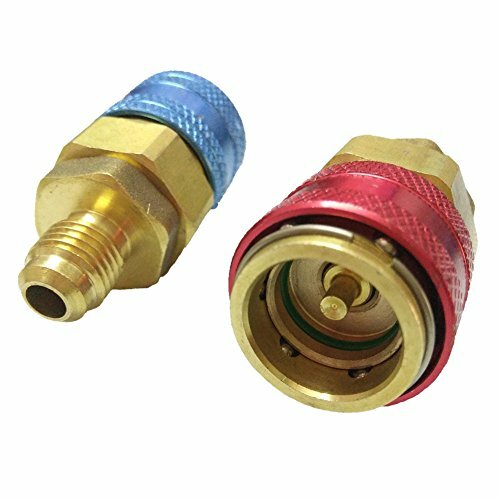 This coupler offers you the best convenience to attach the manifold hoses onto the Auto/Car AC R134A system during the diagnosis, charging or evacuation working. Red for high pressure side and blue for low pressure side. Compact construction in bronze for a long lasting and rust proof life. 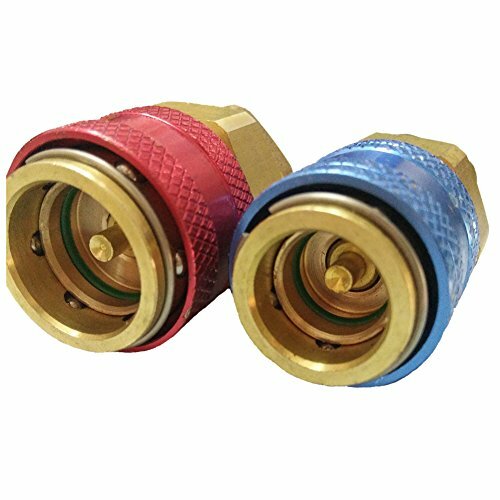 Allow fast and easy service hose connections without leaking refrigerant. Widely used , normally for manifold guage automative tool. If you have any question ,Pls connect with us freely by E-mail. 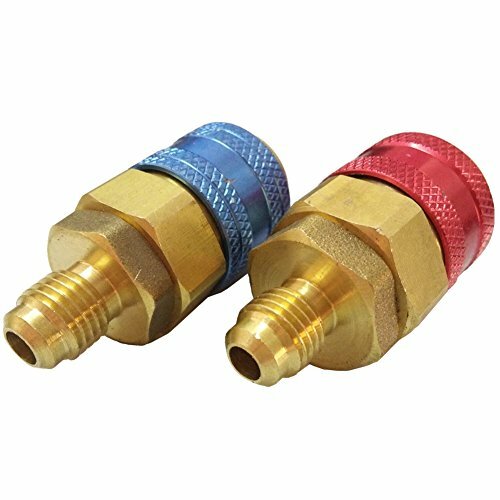 Quick Couplers Red & Blue for Refrigerant R134A to be use in Automobile.used for 1/4" SAE Male Flare Fitting for Automobile A/C Service This adapter is used for connecting 1/4" SAE hose. 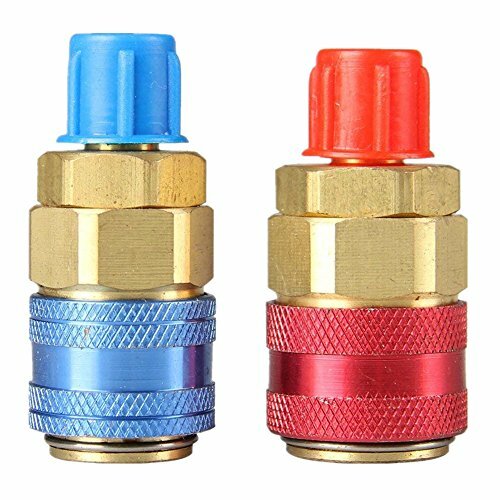 Compact construction in bronze for a long lasting and rust proof life;Red for high pressure side and blue for low pressure side. Quick, easy connecting and disconnecting high flow,The Quick Coupling Connections are reliable and safe for valve access to systems even at working pressure. 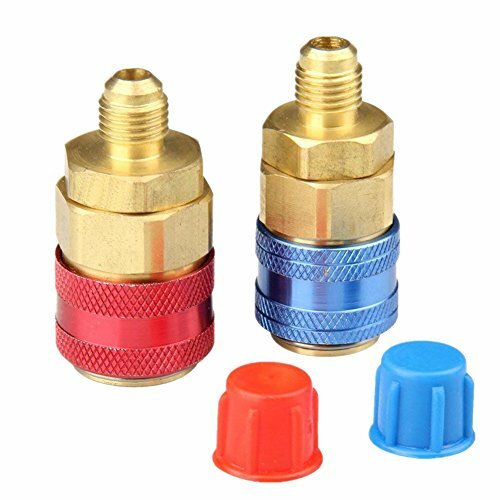 Adjustable quick coupler adapter for air condition on Auto/Car A/C R134A system. 100% guarantee refund policy. If for any reason you are not satisfied we offer a NO QUESTIONS ASKED FULLREFUND. Just Add to your cart now! If you have any questions about this product by IROCH, contact us by completing and submitting the form below. If you are looking for a specif part number, please include it with your message.